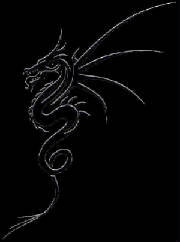 Welcome to the Dragon Bone Empire! Introducing the Fearsom War Wolf Trebuchet! This fully functioning 1/10 scale model is the largest & most powerful kit available anywhere (3 times the size of other treb kits)! Click on images for details! 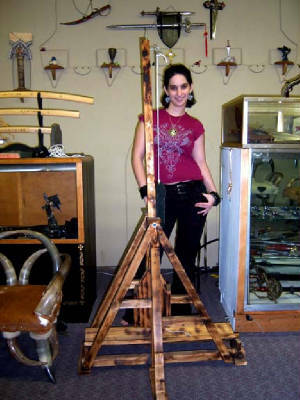 Our Giant War Wolf Trebuchet is by far the largest and most powerful available ANYWHERE! It is over 3 times the size of any other kit offered on the market. This 1/10 scale model stands over five feet tall and has a bucket capacity of nearly 40 pounds! This truely medieval war machine is built of heavy 2x2 timbers to stand up to years of bruital warfare and authentic as they come with it's battle hardened, flame scorched finish. Each kit is one of a kind, hand crafted in our shop in Salado, Texas. Why shell out almost two hundred bucks for the puny 18 inch toy that our so called competition is selling when you can get so much more for so much less?Order your War Wolf today! We are moving to a new and better location! If you thought our old store was great then you'd better hold on to your helmet because our new store is going to be AWSOME! We'll keep you posted on our progress, in the mean time: Please make your orders through our wed site. Twin Wolves Martial Arts Studio. 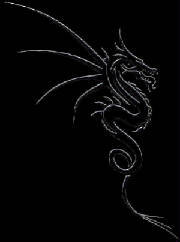 Dragon Bone is where everyone must go to find the most awsome weapons in Central Texas & on the net! 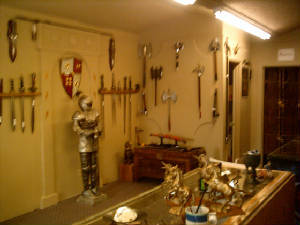 We carry only the finest in live steel weapons at prices that any warrior can afford! This site contains only a few examples of our HUGE selection of authentic and fantasy knives, swords, battle axes, and other mighty weapons! Dragon Bone Swords- There's nothing like it, not even close! Be sure to visit our special events page & learn about our great adventure at "Gothic Wars", & other events!